Based in Sydney, Australia, Jhordan Gil is a Solutions Advisor in JDA Software’s APAC Pre-Sales organisation. 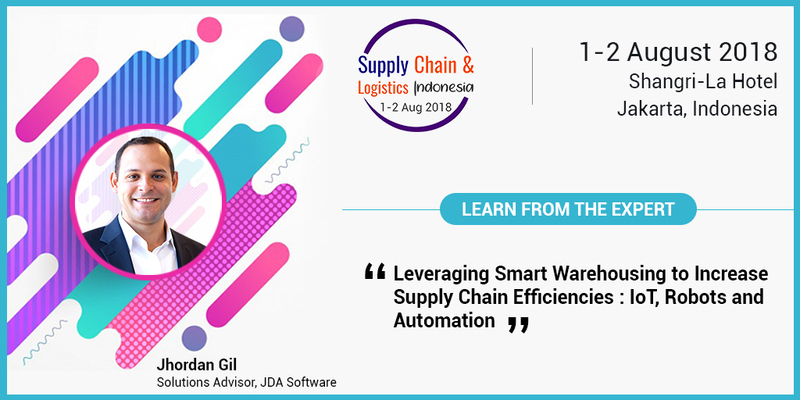 He specialises in Warehouse Management and Warehouse Labour Management, leveraging his deep domain knowledge to help clients identify areas of opportunity and define attainable roadmaps to achieve optimal business outcomes. Jhordan has worked in various geographies including North America, South America, and most recently APAC. These experiences have given him a unique perspective of best practices and trends in warehouse and labour management. Previously, Jhordan spent several years implementing WMS and WLM solutions for a wide variety of clients across different verticals. What is driving the adoption of smart warehousing? Consumer expectations. Today’s consumer expects immediate gratification. They want to point, click and receive their orders in days or sometimes hours. IoT devices help to reduce the use of manual labor, incidence of errors and increase the speed of processing goods. Autonomous mobile robots often referred to as AMR can move independently and utilize sensors and cameras for help with navigation. Different from Automated Guided Vehicles (AGV), AMR do not operate on a fixed path. AMR sense and perceive their environment, find their specific position within it, analyze and then execute movement. AMR are most frequently used to move or handle product within the warehouse.